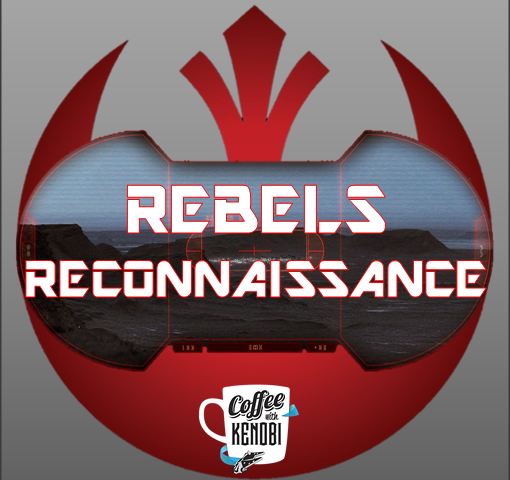 *Spoiler warning: This review contains spoilers for the Star Wars Rebels episode “The Antilles Extraction. “The Antilles Extraction,” this week’s episode of Star Wars Rebels tells the story of how Wedge Antilles, one of Star Wars fans’ favorite secondary characters, defected from the Empire and joined the ranks of the Rebel Alliance. As he is often portrayed as one of best pilots in the galaxy (borne out by the fact that he survived the attack runs on two separate Death Stars and took down an AT-AT during the Battle of Hoth), Wedge would seem to be an individual worth exploring deeper. Unfortunately, “The Antilles Extraction” doesn’t spend much of its runtime on character study. We find out that Wedge is a former cargo pilot who’s become disillusioned with serving the Empire, but other than that, there’s nothing unique about him. Sabine is really the one on which this episode focuses. Her Mandalorian background and history as an Imperial cadet make her the ideal candidate for a solo mission that requires infiltration into the Skystrike Academy, a sort of “Top Gun” installation for the Empire’s best pilots–three of which (Wedge, Hobbie, and Rake) are planning to defect and have reached out to the rebels for help. Having acquired the intel regarding these defections from a new Fulcrum (more on this later), Hera sends the chameleon-like Sabine to the flight academy to contact and bring back the new recruits. The rest of the Ghost will be busy elsewhere as Hera and Zeb are running supplies and Kanan and Ezra serve as backup for Sabine. Once there, Sabine effortlessly blends in with the rest of the pilots until a training exercise pushes her out of her comfort zone. While flying a practice with Wedge, Sabine and her fellow pilots are ordered to fire upon a helpless rebel transport. When she refuses, an instructor named Captain Vult Skerris (an apparent nod to Tom Skerrit’s “Viper” from Top Gun) reprimands the pair and threatens that insubordination like that will get them killed in real combat. With the true depravity of the Empire on full display, Wedge reveals to Sabine that this wasn’t what he signed up for and that he wishes to leave. In turn, Sabine reveals that she is there to get him and his friends out. The four pilots decide to make a run for it during a TIE fighter training exercise and rendezvous with Kanan and Ezra in their CR90 Alderaanian Cruiser. But in this season of Star Wars Rebels, the Empire has stepped up its game and Sabine and company are captured rather easily on their first escape attempt and Ezra and Kanan are forced to abort the rescue. As Rake is the only one of the defectors to not be a legacy character, it is of little surprise that he dies. I can’t help but feel that if all the pilots were fairly anonymous each one would’ve been in equal jeopardy, but this sequence seemed a little predictable. What is less predictable is the means by which Sabine, Wedge, and Hobbie escape the second time. Having bested Imperials from lowly Stormtroopers to an impressively physical Governor Pryce, the fleeing pilots find themselves trapped by Agent Kallus. But instead of bringing them in, he directs them to the easiest way out and let them go. Sabine is hesitant to trust him, but Kallus replies only that she should tell Zeb that the two warriors are now even, harkening back to the events of last season’s “The Honorable Ones.” But there may be more to it than that. Earlier in “The Antilles Extraction,” Hera revealed that the name Fulcrum (and apparently the symbol) is used by several agents. One such agent provided the Skystrike Academy intel via hologram in this episode though the voice was heavily distorted, one might make the case that it sounded very much like Kallus. Whether or not this turns out to be true, this particular Imperial officer continues to be one of Rebels’ most fascinating characters, and while it’s nice to see Wedge brought into the fold, the real drama of the series lies within the fates of those created for the show. Next article The Final Trailer for 'Rogue One: A Star Wars Story' is Here! Previous article STAR WARS: DOCTOR APHRA #1 – New Ongoing Series Coming This December!